We are very proud to be professionally associated with these great organizations. 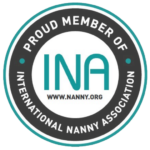 Legally Nanny® Legally Nanny provides the legal and tax advice you need to hire and pay a nanny, caregiver or other household employees legally. We fill out all the initial forms, draft a personalized employment agreement, and handle the legal and tax issues so you can save on your taxes and spend more time with your family. Check out our website at www.legallynanny.com today! You can also reach us at 714-336-8864. For more than 25 years, GTM Payroll Services has been offering tax and payroll services to household employers nationwide. Whether you’re employing a nanny, senior care worker or household staff, you’ll be in control with our tax and payroll processing services and unparalleled customer support. As part of our partnership, Find the Right Nanny clients receive free setup with GTM, a $95 value! Find out more by calling 800-929-9213 x7224. Please, click here to calculate your Nanny Taxes. Go ahead – Simplify! Make sure you understand your family’s tax and legal obligations when hiring senior caregivers. Call the experts at HomeWork Solutions for a free tax consultation. (800.626.4829) Trusted by thousands of families nationwide since 1993, our services are specifically designed for families paying senior care and other household workers. Tell HomeWork Solutions you were referred by Find the Right Nanny and receive complimentary state and federal tax account setup and state new hire reporting – a $100 value! TrustLine is a database of nannies and baby-sitters that have cleared criminal background checks in California. It’s the only authorized screening program of in-home caregivers in the state with access to fingerprint records at the California Department of Justice and the FBI. That’s what makes TrustLine unique. TrustLine is endorsed by the California Academy of Pediatrics. The California Department of Social Services and the nonprofit California Child Care Resource and Referral Network administer the program. My photography came to life, twenty years ago, when I studied in Rome, Italy, experiencing a place that is simply magical. My work has evolved over many years from fashion to weddings to babies, much like my own life. I live behind the camera, capturing real life moments and sharing them with others. My photos tell the story about a journey, love, special moments and new beginnings. My picture taking is inspired by my relationships with people.